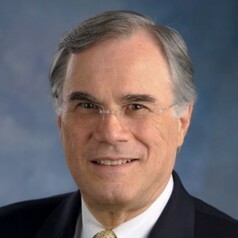 Dr. Robert R. Friedmann is founding director of the award-winning Georgia International Law Enforcement Exchange and Professor Emeritus of Criminal Justice at Georgia State University’s Andrew Young School of Policy Studies.​ He was the Distinguished Chair of Public Safety Partnerships (2007-2010) and served as Chair (1989-2002) of the Criminal Justice Department at Georgia State University. Dr. Friedmann received his B.S. (Sociology and Anthropology, and Philosophy) from the University of Haifa, Israel (1974); his M.A. and Ph.D. (Sociology) from the University of Minnesota (1978); and his M.S.S.W. (Social Work) from the University of Wisconsin-Madison (1981). His interest and published work focus on community policing, terrorism, and crime analysis. His books include: Community Policing: Comparative Perspectives and Prospects, (1992), Criminal Justice in Israel: An Annotated Bibliography of English Language Publications, 1948-1993 (1995), Crime and Criminal Justice in Israel: Assessing the Knowledge Base toward the Twenty-First Century (1998), A Diary of Four Years of Terrorism and Antisemitism: 2000-2004 (2005; two volumes), and 28 Letters (2012). He also authored numerous articles and research reports on crime and criminal justice focusing on policing and public safety. He was the recipient of several federal grants to improve crime data. Dr. Friedmann chaired the Georgia Commission to Assess State Crime Laboratory Needs into the 21st Century; he is a Member of the Georgia Association of Chiefs of Police (GACP), and a Member of the International Association of Chiefs of Police (IACP). He assisted in security planning and preparation for the Olympic Games in: Atlanta (1996); Salt Lake City (2002), Athens, Greece (2004), London (2012), and Rio (2016) and for the G-8 in Sea Island, Georgia (2004). He served on the Olympic Park Bombing Blue Ribbon Commission and on the Fulton County Court House Shooting Blue Ribbon Commission. He serves on the advisory board of the International Institute for Counter-Terrorism, Herzliya, Israel, the Research Institute for European and American Studies, Athens, Greece, and is a member of the executive committee of The International Counter-Terrorism Academic Community. Dr. Friedmann works closely with a number of police departments, in the U.S. and internationally, on community policing and homeland security.